Welcome Home to this 3BR 2BA home offering 1,687SF of living area. The spacious kitchen features an abundance of storage as well as a convenient breakfast bar and dinette area. The master bath offers dual sink vanities as well as a relaxing garden tub and stand alone shower. Enjoy the large screened in patio perfect for entertaining. 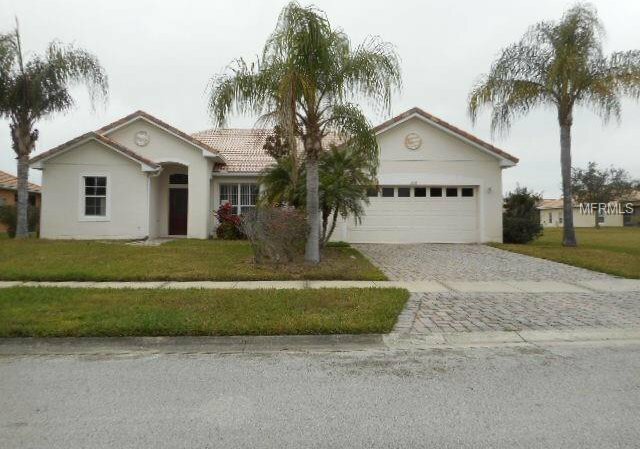 Conveniently located near shopping, dining and entertainment in the gated community of Bellalago. See it today! All measurements, room sizes and HOA info are approximate and not guaranteed, any information contained herein critical to buyers decision to purchase must be verified by buyers. FREDDIE MAC FIRST LOOK - NO INVESTORS FOR FIRST 20 DAYS. Listing courtesy of DAVIS REAL ESTATE GROUP. Selling Office: BETTER HOMES & GARDENS FINE LIVING.